When it comes to designing a new project manufacturers will in many cases focus on the ‘high value’ components that embody their innovation as a business. However, innovation is not restricted by size, as the importance of specifying correct fasteners illustrates in a multitude of applications. Weight, cost, ease of installation and product standardisation are four key features to consider when specifying fasteners for application. Nonetheless, to gain equilibrium between these factors, manufacturers need to involve a business with expertise in fasteners. Ian Carvell, European Engineering Director at Optimas, a provider of integrated supply solutions and fastener engineering support, explores the benefits a fastener expert can deliver to OEMs and tier suppliers. Design engineers could be forgiven for overlooking the humble fastener, considering the huge number of considerations that come into play when introducing an entirely new project. The competitive nature of the modern market place drives the engineering focus towards innovative technologies; for example the current focus of the automotive industry is on hybrid drivetrains or self-parking vehicles. Manufacturers want to be able to publicise something that their competitors cannot. There is very little perceived public interest in how a fastener has aided in the final performance or design aesthetic of the latest consumer product. Very few people will walk into a car showroom and ask if their potential new purchase will include aluminium fasteners instead of steel. Even in the industrial world customers are more interested in headline figures than the gritty details. So why should designers care? The truth is well optimised fastener selection can offer many tangible benefits: both to manufacturer and end-user. Sticking with the example of automotive design, fastener choice is as relevant to a supercar as it is to an off-road construction vehicle or your daily driver - but in entirely different ways. To design something from ‘the ground up’ maybe one of the most well-worn clichés, but focussing on fasteners can be a route to profitability and clarity of purpose for manufacturers. So what are the main benefits of effective fastener specification? The most applicable for most applications across various industries is the benefit of product standardisation. Why specify a custom manufactured11 mm bolt for one fixing and a 9mm bolt for another when you could use a single 10mm solution for both that is freely available and achieves the same purpose? It might be quicker to design these components than trawl a standard parts list during design, but this saving will quickly be eliminated when production starts. 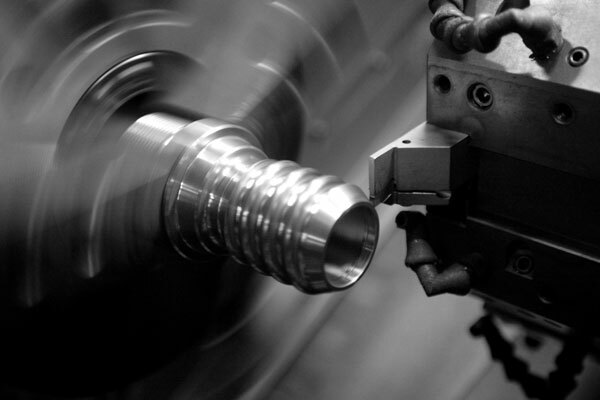 Optimas engineers have worked with customers to reduce part counts by as much as 40% during the design phase. Standardised fasteners minimise the bill of materials and simplify supply. Over an entire development process and production run, standardisation offers huge cost savings. Another benefit is weight. Selecting aluminium components over steel may only equate to savings of a few grams on a single part, but in many hi-tech industries such marginal gains could represent a distinct advantage over the competition. Ease of installation of fasteners should also be considered as it can make a notable improvement to production line efficiency. The assembly teams don’t want to contend with a puzzle of bins and components that resembles some recurring nightmare. Correct specification of fasteners can mean a reduction in bins, and also clearer definition of what should go where. When production line personnel are installing thousands of these components every day on multiple units, a clear fastener policy leads to speedier installation across the line and, ultimately, improves productivity. Finally it is a question of cost. Building prototypes, amending design, reaching industry standards and then achieving a finished product before launch deadlines is incredibly capital intensive. As a manufacturer, can you afford to increase this by operating a fastener policy that isn’t streamlined? In most cases it’s a no, so taking an integrated and involved approach to what fasteners you specify can minimise the financial impact. So how can a manufacturer implement these benefits into their design? The first step is recognising where you could benefit from the support of experts. From the earliest design stages you should work with a supply chain manager who is able to offer engineering expertise and understands which of the four benefits are of most importance to your application. For example, you have been tasked with specifying fasteners for a new supercar from a low volume, premium manufacturer. Product standardisation and production line efficiency won’t be as important as weight saving in this scenario. Buyers are willing to spend extra to ensure the vehicle contains exceptional components exclusive to the manufacturer. Conversely, heavy truck and commercial vehicles will require extremely durable components. Weight is less of a concern when compared to strength, as drivers may be using the vehicle in extreme circumstances. OEMs will also be keen to standardise fasteners in certain areas and implement efficient installation designs to reduce the cost of manufacture and remain competitive. So clearly reaching the nirvana of fastener specification requires a tailor made approach that is based on each individual application. The best way to achieve this is to involve a fastener expert from the initial design phase of a project, so that fastener engineers can become familiar with your application and its specific demands. The earlier that a partner such as Optimas becomes involved, the more ingrained the performance benefits will be with your design. As a designer or manufacturer, fasteners can offer great benefits to all stages of development and manufacture if the optimised approach is applied. As with many things in life, finding the right bolt hole can be a real life saver. Is plastic a better choice for fastening solutions?